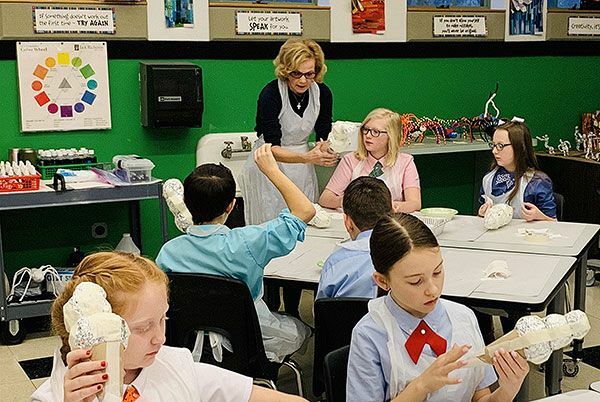 Mrs. Soloninka's fifth grade art students are working on a delicious project in preparation for a field trip this spring to Kirke's Homemade Ice Cream shop. The students are creating paper maché ice cream cones. They will have the opportunity to paint and decorate them in class with their favorite colors, "flavors" and "toppings." Looks scrumptious, fifth grade!